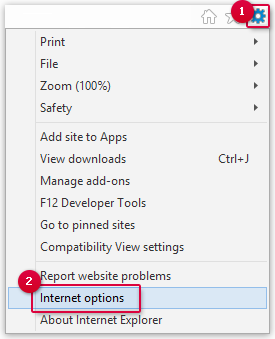 If outdated or corrupted cookies are stored inside your browser, they may sometimes cause problems during login. Simply deleting the cookies helps. 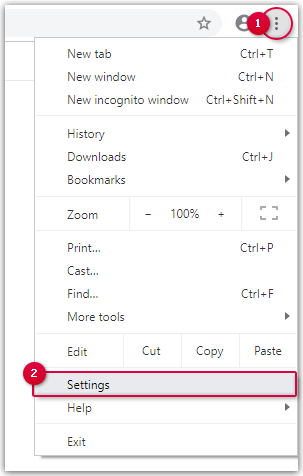 Corrupted cookies may sometimes cause problems during login. 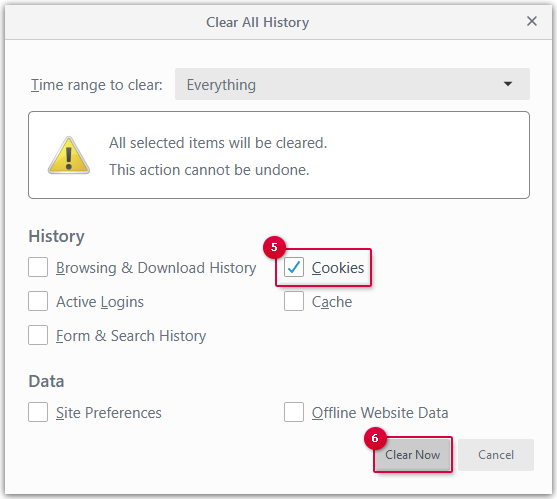 If this occurs, simply delete the existing cookies and a new one will be created the next time you log in. Only activate the Cookies entry. 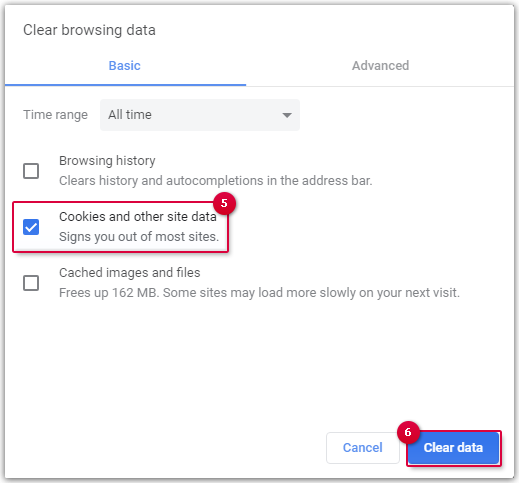 Select All time and tick the box next to Cookies and other site data. 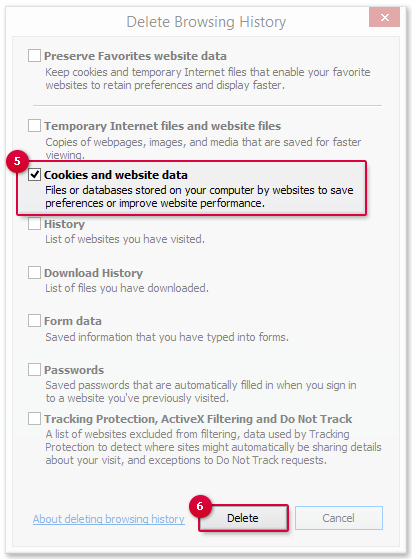 Tick the box next to Cookies and website data.